Chargebacks are an unfortunate part of any business that works with a bank or payment processor. The process of a chargeback begins when a customer files and initial dispute with their credit card or bank for the charges they made to purchase your product inventory or services. Unfortunately, the merchant can be left out of this dispute process and informed significantly later when there is a need for the funds. 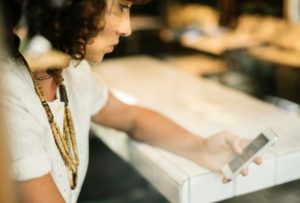 In more than half of all chargeback instances a merchant never receives notice of a dispute and that makes it impossible for the merchant to defend themselves against the chargeback. As a result of this defenseless nature for a merchant account, chargebacks can cut into business profits considerably. It’s estimated that roughly $1 billion in chargebacks occur every year coming out of credit card disputes and banking disputes. This is a loss for merchants as they have absolutely no way to learn about the chargeback or fight it. The biggest reason the chargebacks are so frustrating is that they can create extra fees. Chargebacks could potentially mean unexpected losses on an item because of the extra fees associated with the payment processor, the lost inventory if the customer never returns it and the lost wages on the sale. With our chargeback retention service, you can minimize the risk of chargebacks. We have created an alert system to let you know about chargebacks as soon as they happen with the bank or credit card issuer. This puts more control in your hands when resolving transaction disputes and chargebacks. By removing the chances of a dispute process going unnoticed you can minimize lost revenues, minimize future risk with ongoing chargebacks and more. With quick notifications you can be involved in the process of disputes and get almost instant notifications when a dispute is opened. Our chargeback retention acts as a shield for your business and ensures that you can prevent chargebacks.